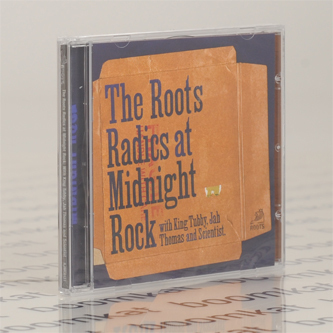 "The Roots Radics were the ultimate reggae studio group in the early dancehall era. They appeared on thousands of recordings, impeccably tailoring their rhythms for the producers who used them. This is a collection of their work with one of their earliest champions Jah Thomas of Midnight Rock. Recorded at the legendary Channel One Studio, these dubs, mixed by the finest engineers in Jamaica, including King Tubby and Scientist, appeared for the large part as B sides of singles and album tracks. They are gathered together for the first time, along with two previously unreleased cuts."